Fleet managers face many challenges when managing a commercial fleet. The top challenges in 2017 are cost-reduction initiatives, increasing productivity, and safety, fuel price volatility. The number one challenge for all fleet managers is managing costs. Every year, the pressure is on for fleet managers to save as much money as possible. The weak economy is currently driving most of the extreme pressure to reduce costs associated with fleet operations; however, even when the economy is great fleet managers still feel the pressure. Many fleet managers are tasked with a specific cost reduction percentage goal and it is up them to determine how that will achieve that goal. It can be very difficult to implement a productivity strategy in a business especially one with large operations. There are so many programs that must be reported and managed. Using GPS fleet management systems, fleet managers have access to valuable tools to increase both operational and route efficiency. Fleet managers are always looking for new ways to prevent accidents and reduce downtime, associated repair and liability. 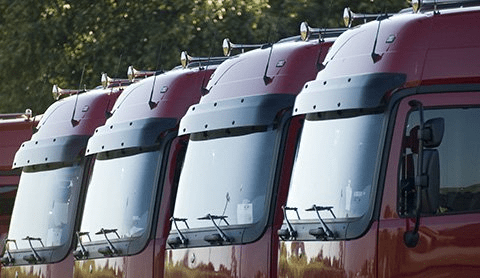 Some fleets are focusing on improved training for the drivers while others are focused on using a GPS tracking system to improve drivers’ poor behavior. Fleet managers are looking to implement the best fleet management practices to increase safety. The pressure is on for fuel managers to reduce fuel costs; however, most businesses do not provide any capital to get this done. That is why many businesses are turning to Vehicle GPS tracking systems to help address driver behavior and routing. In addition, they are choosing high-mileage vehicles and using fuel cards to examine the fuel purchases. The largest issue, however, is that fleet managers do not know what the future prices are going to be.